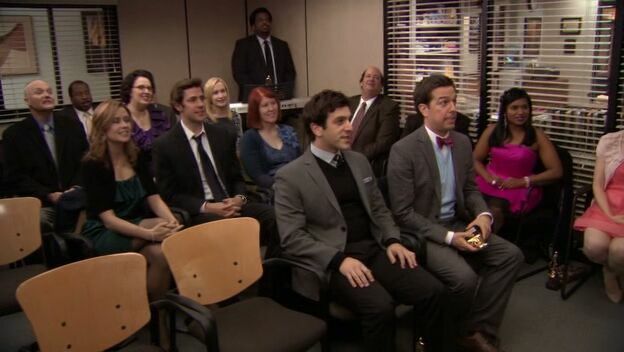 In honor of tonight’s series finale (and inspired by The Cinema Monster’s post last week) I figured it would be a good idea to countdown my top 10 favorite episodes of The Office. Like a majority of viewers, I’ve had my problems with the series in its post-Carell years. Sometimes it feels like I’m watching the show out of an obligation. But there’s something to be said for never having given up on it. 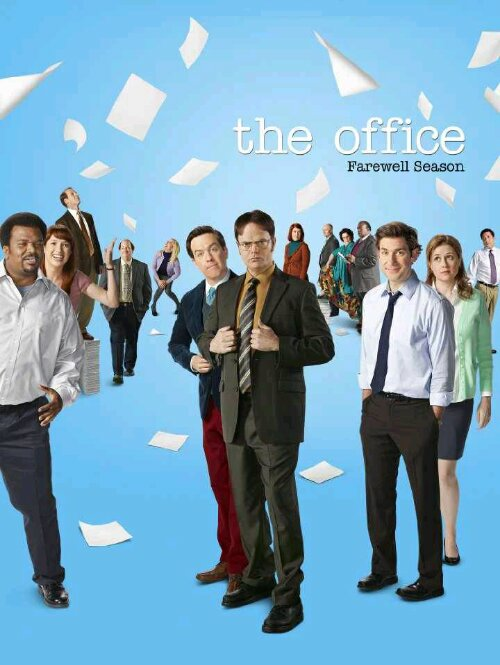 I picked up the show between seasons 2 and 3 and, tonight, I’m watching the final episode. It’s a bittersweet moment. For a long time I feel like the show should have ended a couple seasons ago. Now that it’s finally going off the air, I don’t know that I’m ready for it. 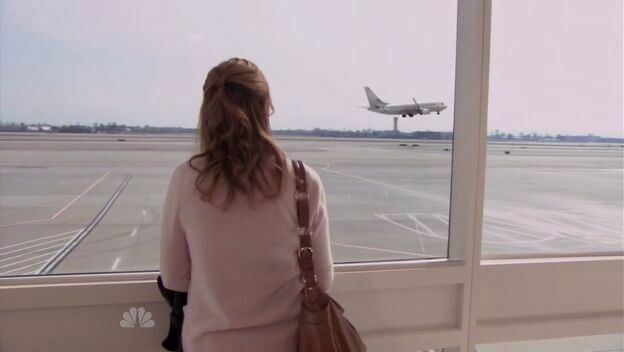 But it’s time to say goodbye to Scranton. And what better way to say goodbye to The Office than by remembering its finest moments? I wasn’t sure if I was going to include this episode. But it made the cut because it was an interesting departure from the show’s normal shenanigans. It gave us the chance to finally see Michael’s movie and revisit some old cast members. The dialogue in the movie is my favorite part of the episode. But I also love the way the episode showcases Michael and Holly’s relationship. 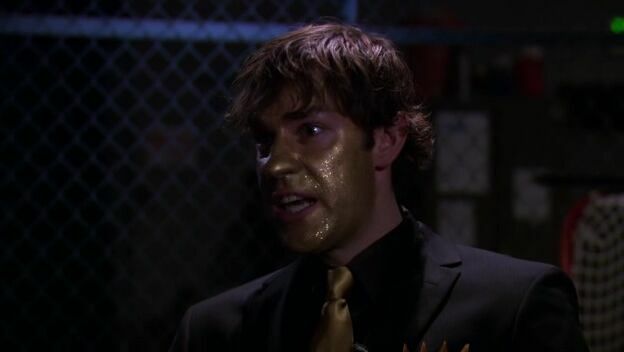 Season 7 was all about the writers getting to do all the stuff they have wanted to do with the Michael Scott character and I’m glad they snuck in the Threat Level Midnight episode. There’s a clip on the DVD gag reel for this episode where Michael is in the conference room where the girls are setting up the party and says “I don’t mean to be crass but be prepared to get wet” The girls instantly break out in laughter. It’s one of my favorite clips from the many gag reels the show has produced. This is a very funny episode. 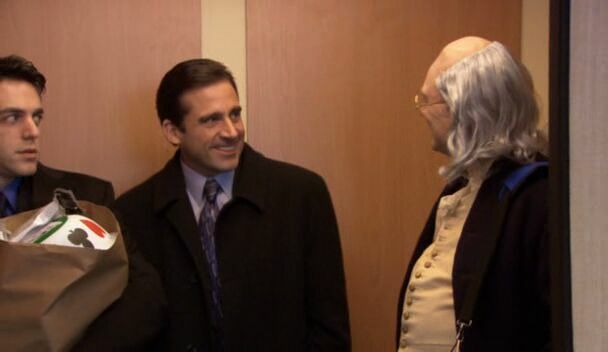 Jim calling a Ben Franklin impersonator is hilarious in and of itself. The impersonator hitting on Pam just made it so much better. 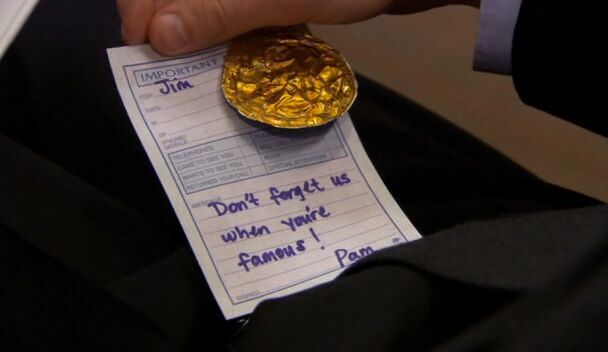 This episode also has some great, awkward Jim and Pam stuff with Pam trying and failing to flirt with Jim. There’s also Michael’s guilt at getting a lap dance from the stripper he ordered. It’s hilarious to see him go from excited to awkward to uncomfortable to freaked out to upset and guilt ridden in the span of about 10 seconds. The episode aired after the Super Bowl and includes one of the series’ absolute best cold opens. 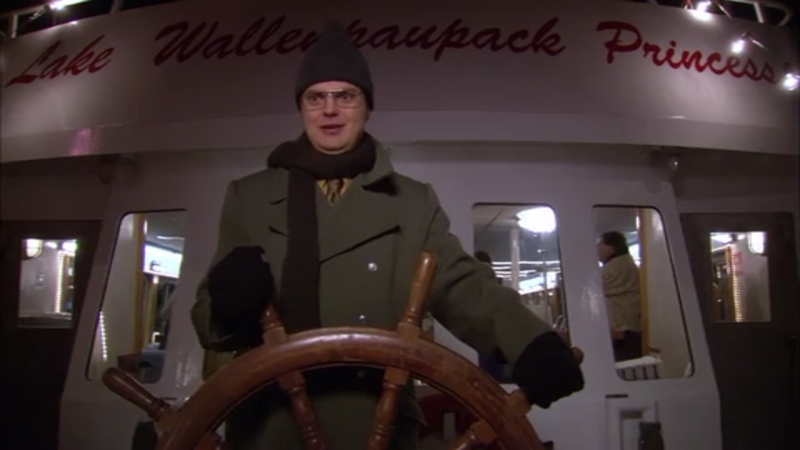 It starts with Dwight pulling off a well-intentioned fire safety drill and devolves into absolute chaos. The sequence includes a cat crashing through a ceiling tile, Kevin raiding the vending machines and Andy Bernard screaming “The fire is shooting at us!” when Dwight inexplicably lights firecrackers amidst the pandemonium. The episode includes some very fine moments, as well. 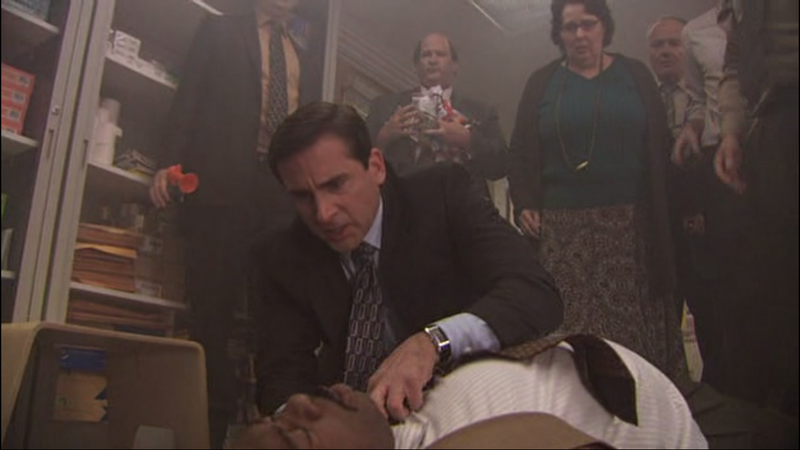 The CPR class is one of my favorite moments in the show’s history. Like the cold open, things start innocently enough before sinking into absurdity. 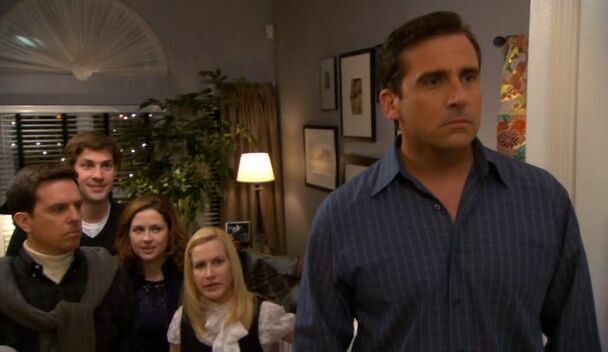 What makes this scene one of my favorites is that it’s one of the rare times where an outsider is privy to the entire office being alienating, awkward and hilarious. It shows the coworkers as the dysfunctional family unit that they always have been. The episode also dives into more serious fare. Jim and Pam getting caught in the middle of a bitter split between Pam’s parents is poignantly punctuated by a beautiful moment shared between the couple. 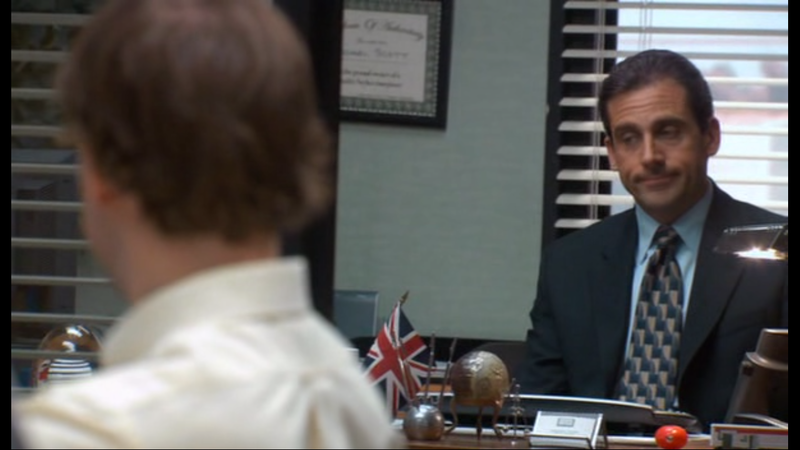 Stress Relief also has the most cringe inducingly awkward situation Michael Scott ever got himself into. 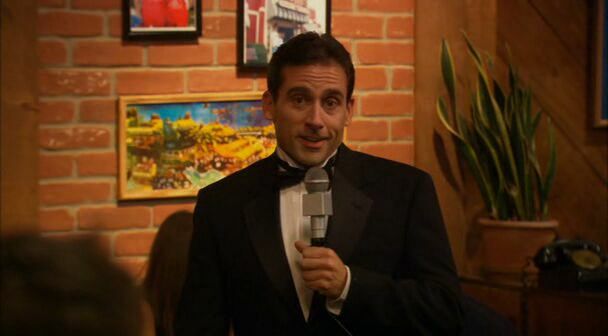 The pain Michael feels after his “roast” doesn’t go the way he naively hoped it would is some of the best acting of Steve Carell’s career. We’re getting into the really good stuff here. Season 2 of The Office is one of the best overall seasons of a sitcom I’ve ever seen. I could do a top ten list of episodes solely from this season. Some season 2 episodes that, sadly, didn’t make this list but still deserve recognition: The Secret, The Carpet (cold open is gold), Office Olympics and pretty much every other episode. Onto Booze Cruise. I love this episode for its advancement of the Jim/Pam storyline and for the power struggle between Michael and Rob Riggle’s Captain Jack. Captain Jack is a great adversary for Michael and the two play off each other very well. The scene between Jim and Pam where he almost tells her is one of my favorite scenes of the series. Likewise, the scene between Jim and Michael where Michael, despite all odds, gives Jim the best advice possible is touching and, overall, a very well done scene. This is one of the most quotable episodes of the series. Steve Carell also wrote it. It’s hilarious and ends the season with such a series-defining cliffhanger that it’s hard not to adore it. Even if the wait between seasons 2 and 3 made you hate it a little bit. This is always a really hard episode for me to watch. It’s a great conclusion to Michael’s storyline and would have made a really good series finale. The scene with Michael and Pam at the end is a really good example of how the show has used silence to its advantage. There are a lot of reasons to love this episode. First, I love Tim Meadows as the unlikely Michael Scott ally at Chili’s. Then there’s the characters finding the Threat Level Midnight script. The script itself is incredible. I love that it’s a true window to Michael’s personality and not just an unfortunately hilarious plot device. 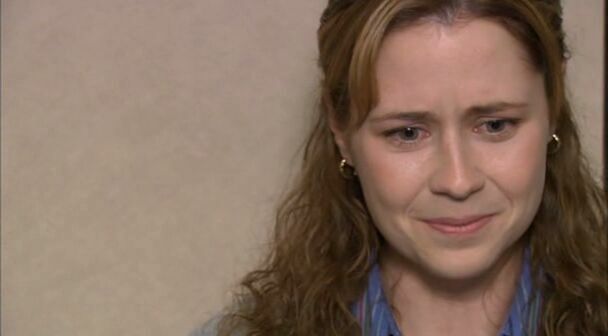 Jim accidentally letting on that the “date” meant more to him before promptly realizing that Pam only saw it as friendly is heartbreaking. Who doesn’t love the Jim/Michael shrug at the end? 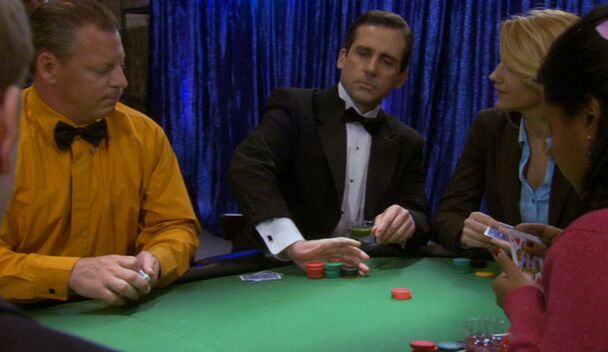 I admit, The Job isn’t as sharply written a season finale as Casino Night was. 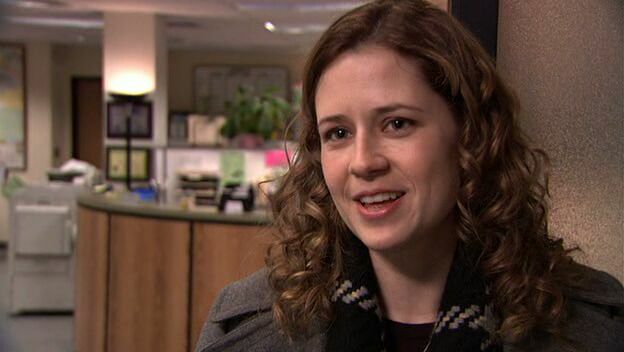 But it earns the number 3 spot by showing us how wrong Karen was for Jim, giving us a window to into what a Dwight regime would consist of and delivering us a cocky Michael Scott who gets caught between his girlfriend and his employer. Not to mention the huge “It’s a date” scene between Jim and Pam. It’s a monumental moment in the series and it’s played very well. This episode is an incredible break from the usual mold of the series. It’s an episode devoted entirely to deconstructing and disintegrating Michael and Jan’s twisted relationship. Dinner Party takes the dysfunction of the show’s Anti-Jim/Pam and makes them the focal point. The end result is an episode that’s surprisingly dramatic and shockingly cringe worthy. I love a good sitcom-wedding episode. The ridiculous situations and problems that arise during two characters’ “special day” are always fun to watch. For me it dates back to the mid-90s Wings wedding episode where Joe gets his hand stuck in the toilet grabbing for a dropped the ring, resulting in the ceremony taking place in the bathroom. 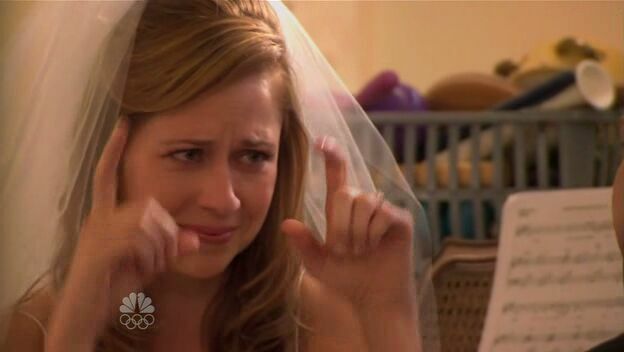 The Jim and Pam wedding episode was the ultimate payoff to a 6 year long love story while simultaneously being the perfect episode of The Office to ever air. 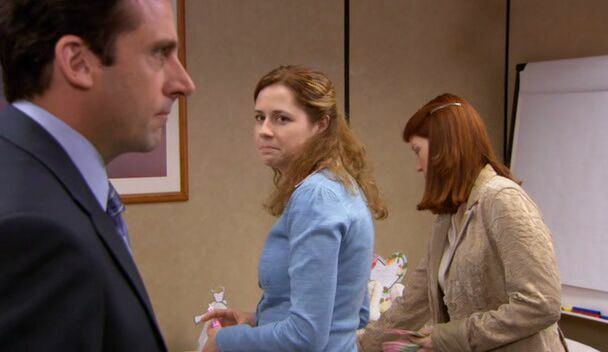 It has everything from Michael trying his best to be included to your standard “pre-wedding drama.” But it all comes wrapped in The Office’s special packaging with all the heart of some of the best Jim and Pam moments. So there you go. My top ten favorite Office episodes. After spending a couple days watching these episodes and writing this post, I’m pretty sure I’m still not emotionally prepared for the finale. What was your favorite episode? Leave me a comment and don’t forget to follow me on Twitter and like the blog on Facebook. This entry was posted in Editorials, Matt Hurt's Columns and tagged Comedy, entertainment, NBC, Series Finale, Television Columns, The Office, tv. Bookmark the permalink. Thanks for the shout-out! Great list, much better than mine haha. 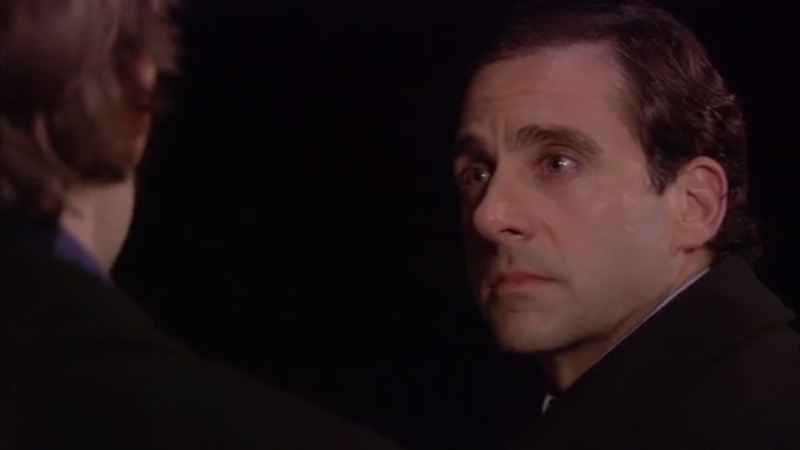 Michael’s goodbye is definitely the hardest episode for me to watch. I have a feeling that tonight’s finale is going to take that honour though. No problem. 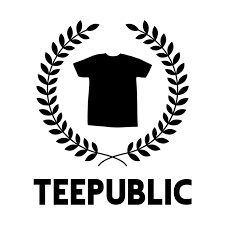 Thanks for reading and thanks for the inspiration! Tonight is definitely going to be rough. Even harder considering I have to wait until tomorrow to watch it. Tomorrow morning will be a tough one. I just finished watching it and it was extremely hard to get through without losing my composure haha. Good luck watching it tomorrow :). Thanks! I’m about to watch it as soon as I finish a blog post. Priorities. Dinner Party and Stress relief are so damn funny! Yep. The cold open for Stress Relief (and the CPR scene) reduced me to tears. Hilarious.